I received a postcard from Prince Edward Island, the smallest province in Canada. It was sent by postcrossing forumer cj23. 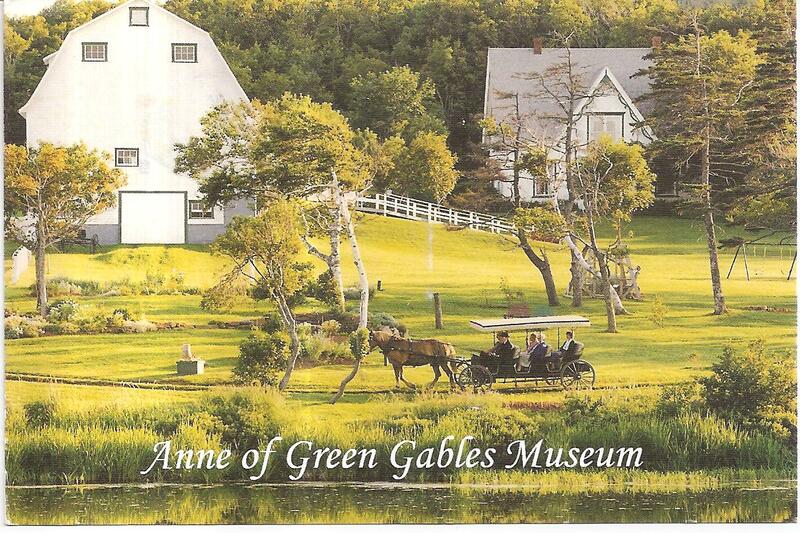 The postcard shows a picture of the Anne of Green Gables Museum in Silver Bush, Park Corner, PEI. Thank you very much cj23! 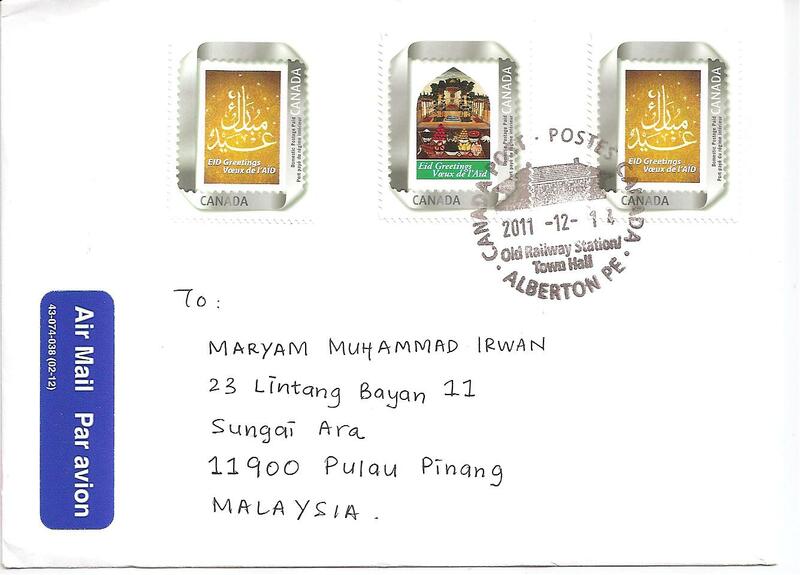 I sent another cover from Canada to my home address in Malaysia. 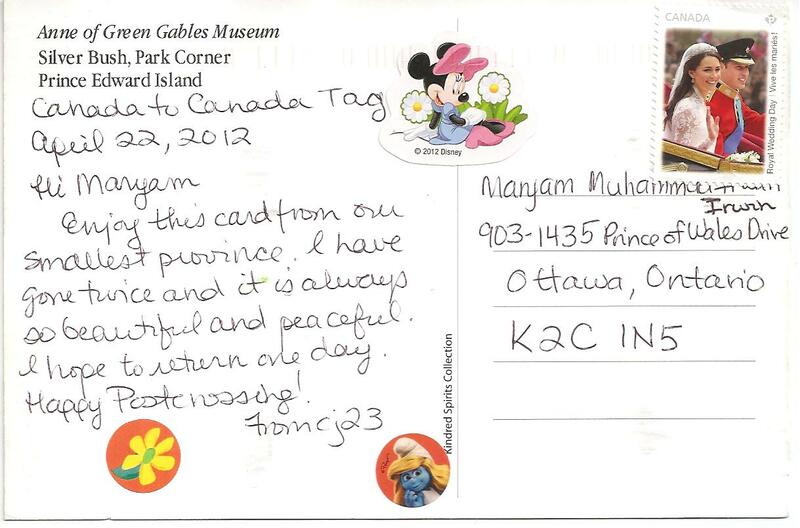 This time using the Eid greetings stamps specially issued by Canada Post. The postmark date is 14-12-2011 from Alberton, Prince Edward Island.